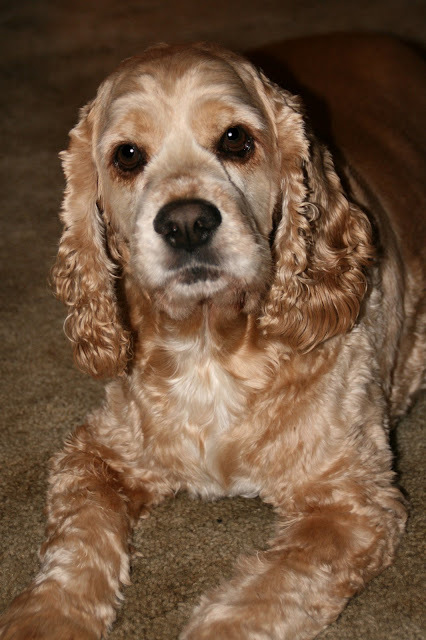 Today's post pays tribute to our cocker spaniel Denny who passed away tonight. He was one of my favorite models and always put up with my camera constantly pointed in his direction. Denny was a rescue dog who quickly won a spot in our hearts when we adopted him five years ago. We spoiled him rotten and he returned unconditional love and loyalty. I am so sorry to hear about Denny! That is so sad. What a beatuiful picture. I hope that you and your wife are all right. Thanks Vanessa for your comments. We are doing OK but there is definitely an empty feeling in our house and hearts.